The inception of driverless cars is finally approaching us. Companies across the globe, from car manufacturers to tech giants, have joined forces and are investing millions into getting autonomous technology onto the road and into the mainstream. This move forward in technology will also open up a brilliant new revenue stream for brands to tap into which is what we’ll be exploring today – the Passenger Economy. The passenger economy is a term coined by the tech multinational and data-driven behemoth Intel, and represents the economic and societal value that will be generated by fully autonomous pilotless vehicles. This value includes the indirect savings for both consumers and business users regarding time freed from driving and shorter commutes, increased productivity for businesses, and cost savings from the reduced need for emergency services (Strategy Analytics & Intel, 2017). 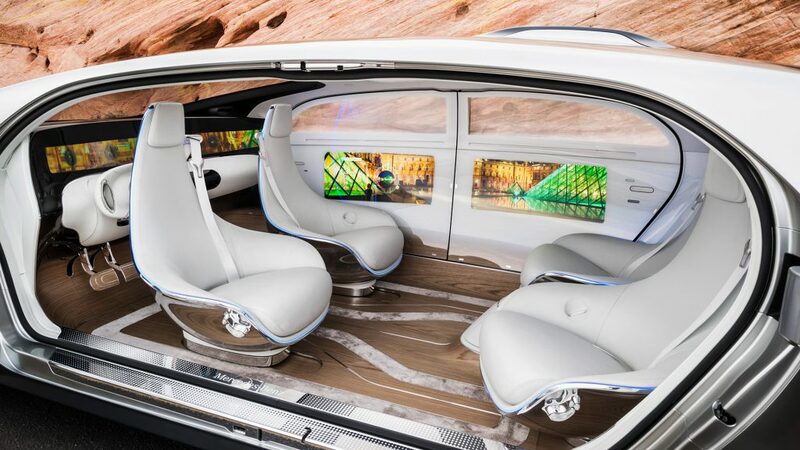 Intel suggests that the value of this passenger economy could reach a staggering USD$7trillion dollars by 2050. This value was calculated through extensive research which explores predicted future economic variables (affected by a change in consumer behaviour patterns) and new revenue streams. New revenue streams include the new & emerging pilotless vehicle services, Mobility-as-a-Service pro­­positions, entertainment services, content creation and even establishes the changes in purchase behaviours (such as increases in online sales) as consumers utilise their travel times more efficiently. Although there’s a slight disagreement within the industry as to when exactly fully autonomous driving (SAE Level 5) can be expected, firms such as the chipmaker Nvidia optimistically suggest that it could be rolled out as soon as 2025. Even looking at the more prudent predictions, such as Bosch’s suggestion at up to six years later, autonomous tech will soon be with us. So, what does this paradigm shift in travel mean for consumers and brands? From a consumer stand point, autonomous driving will create a large daily time surplus for most working-age adults. According to Strategy Analytics & Intel’s research, daily commute times in metropolitan cities are currently averaging around an hour a day – even more for larger capacity cities with miles of sprawling suburbia. 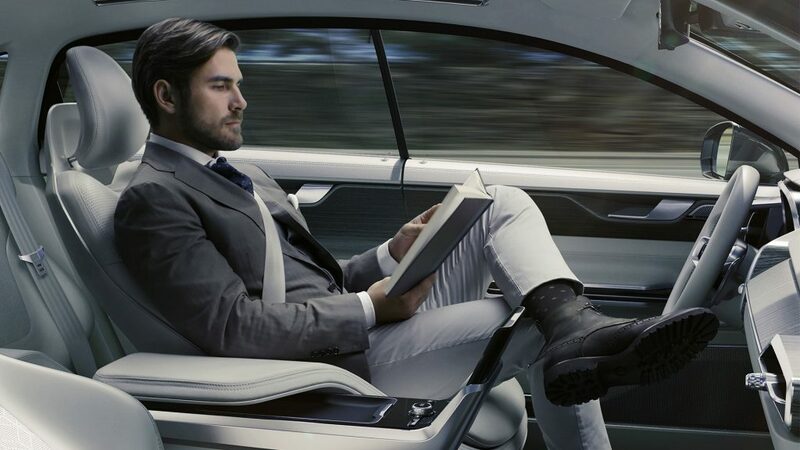 Autonomous driving means that consumers will finally be able to make better use of their time as they will no longer be required to control the vehicle itself. The time previously spent behind the wheel will instead be used on recreational activities including the consumption of rich media, socialising with others, sending and receiving emails or shopping online (just to name a few). Car journeys will be become more sociable. 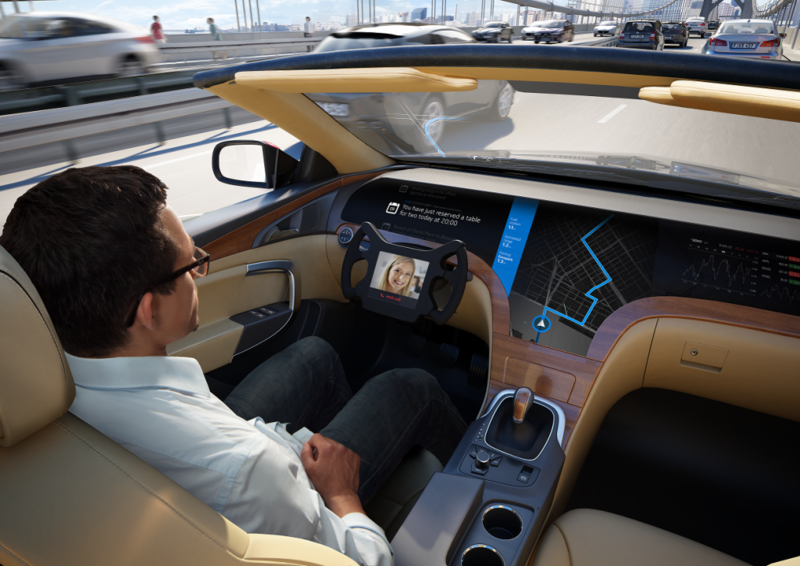 Driverless technology allows people to freely communicate to one another without being distracted as there will be no requirement to concentrate on the road. With increased time surplus and the removal of distractions, experiential activities are also expected to increase thanks to the change of the consumptive behaviour of consumers regarding digital narrative. This effectively means a greater focus on interactive augmented reality (AR), virtual reality (VR) and mixed reality (MR) technology for consumers to engage with the news, entertainment, communication and administrative tasks on the move. 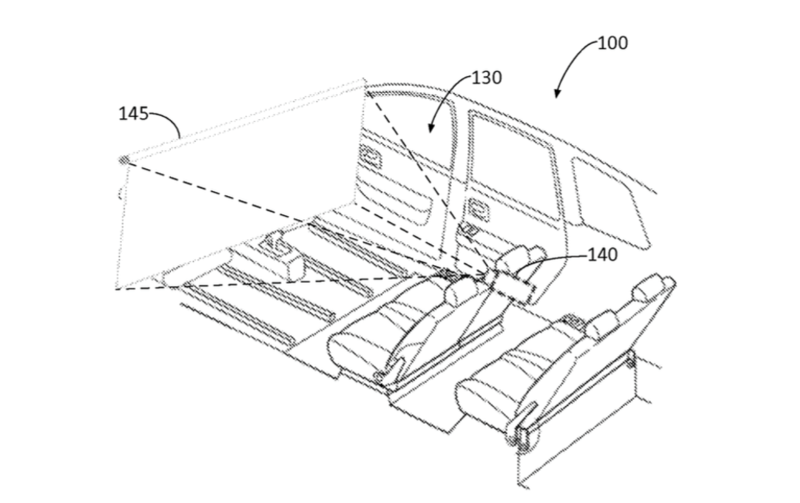 Above: Ford’s patent for an autonomous vehicle entertainment system anticipates removable front seats, but it also anticipates a driver who can take control of the vehicle. R&D on how consumers will be able to use transport as an entertainment hub has already begun. Ford for example, have already submitted a patent to turn their cars into rolling personal movie theatres (as shown above). Forbes (2017) reported that Ford’s ‘autonomous vehicle entertainment system’ patent proposes that whilst its car is in autonomous mode, its passengers will be able to watch films and other content via a projector & screen setup that rolls out from the roof and situates in front of the windscreen. When the car’s being driven manually however, the screen would instead retract and the media would be played through a traditional integrated screen instead (out of the driver’s view). This would suggest that not all car manufacturers share the same aspiration of eventually removing the need for a driver completely (like Google’s Waymo project). This is definitely great news for car enthusiasts, as there’ll still be cars manufactured that cater for those who still want (at least the option) to drive. Consumers should also expect to benefit from new connected service models for 5g requirements, as internet consumption rates increase to almost that of in-home use. From a brands perspective, there are plenty of opportunities and additional revenue streams to tap into. Brands will start to create content tailored specifically for their new captive audience. As autonomy will also decrease congestion, they may wish to create a variety of media options to indulge consumers who have varying commute times – from bitesize offerings designed for short journeys through to feature length options for those travelling afar. Similar to internet analytics, as autonomous vehicles will be connected within an online capacity brands will be able to learn a lot about their target audience using big data analytics. Although there will inevitably be an option for consumers to ‘opt-out’ of new driving ‘cookies’ (to get around privacy and ethical implications), brands will still learn more about the general consumer behaviour patterns of their audience – where they go, which shops they purchase at, their consumptive nature and how they utilise new integrated entertainment and communication platforms offered with these new cars. This data will help brands to better address their audiences wants and needs – allowing improved positioning for all their future offerings. In order to adapt to these changes, “companies must reassess the strategies they use to create value, the capabilities needed o carry out those strategies, and even the corporate cultures that underpinned their traditional ways of doing business” (PwC). Brands must adapt accordingly or risk being left behind. Using integrated GPS and interactive-entertainment systems, its highly likely that brands would be able to serve consumers with advanced location-based advertisements. Brands will be able to serve relevant adverts to prospects whilst they are travelling – alerting them when they’re near purchase points or suggesting new promotions based on their previous purchase history. Half the challenge in converting and monetising a prospect, is down to the barriers between them and the purchase location. If the prospect is alerted when they’re already near (or even at a purchase location), then this barrier is eliminated. There’s a general consensus within the marketing industry that future geo-advertisement services will provide much better conversion rates than traditional programmatic advertising. With the majority of current concept vehicles (such as the Mercedes-Benz F 015 – Luxury in Motion – shown above) envisaging the inclusion of interactive displays, HUDs on the windscreen and gesture controlled entertainment options throughout, there has never been a better time to focus on bringing properties up-to-date with AR, VR & MR activities. Using this tech, it is possible for consumers to interact with your brand in new and innovative ways – embracing the immersive environment that autonomous vehicles offer. This is a great way to create truly memorable experiences for your consumers and help further differentiate your brand from others. Reinforcing this, at a recent ‘Bank of America’ mobility expo, Nadav Zohar (Global Head of Corporate Development for Gett) predicted that “50% of mobility brands’ revenues will soon come from in car services and experiences”. There will be a need to focus on offering consumer services. These offerings include both cloud-based and digital services that augment the passenger experience. All social network providers will undoubtedly integrate their communication platforms for consumers on the move. For entertainment brands, it is important that they self analyse and recognise where their companies strengths fit with the new technologies and establish ways of adapting current offerings into this new direction. Properties and product lines should be extended in ways that resonate with the new technology. For companies wishing to be early adopters of this market, there will be a strong need to focus on branding their new offerings appropriately. This will help to communicating their key messages, backed up through strong marketing drives and should result in being recognised by the consumer as the ‘go-to’ providers for autonomous vehicle entertainment services. To get the most from the Passenger Economy, property owners must be proactive – not reactive – to the changes in consumer behaviour. This will allow companies and brands to position themselves correctly, effectively addressing the dynamic changes that lay ahead. Brands must embrace the soon-to-be captive audiences by becoming early adopters in autonomous driving entertainment and establishing themselves during its inception. As driverless vehicle services expand, Intel predict that theres a cool $200 billion worth of revenue to be generated just through consumers using new applications and services. For brands, it’s worth starting the ideation process on how to tackle the passenger economy as soon as possible, as cars will soon become the most powerful mobile data generating devices we use and consumers swap driving for riding. Forbes. (2017). Ford Turns The Driverless Car Into A Driving Movie Theater. Available: https://www.forbes.com/sites/jeffmcmahon/2016/03/07/ford-turns-driverless-cars-into-mobile-movie-theaters/#39e43c61248a. Last accessed 31st July, 2017. PwC. (2016). Connected car report 2016: Opportunities, risk, and turmoil on the road to autonomous vehicles. Available: https://www.strategyand.pwc.com/reports/connected-car-2016-study. Last accessed 31st July 2017. Strategy Analytics & Intel. (2017). Accelerating the Future: The Economic Impact of the Emerging Passenger Economy. Autonomous Vehicle Service. 1 (1), p4-30.